Eu sei que o millennial pink vive tempos difíceis em perigo iminente de ver o amarelo roubar-lhe o reinado. E por isso mesmo esta semana vesti o máximo de millennial que me parece aceitável quando fui tomar um café à baixa com a minha fotografa (irmã nas horas vagas). Agora scroll down se faz favor porque esta história não acaba aqui. I know these aren’t easy days for millennial pink living in imminent danger of seeing yellow taking over its reign. And for this very reason this week I decided to wear as much millennial pink as I find acceptable when I went for coffee downtown with my photographer (part-time sister). Now scroll down if you please because this story does not end here. 2. 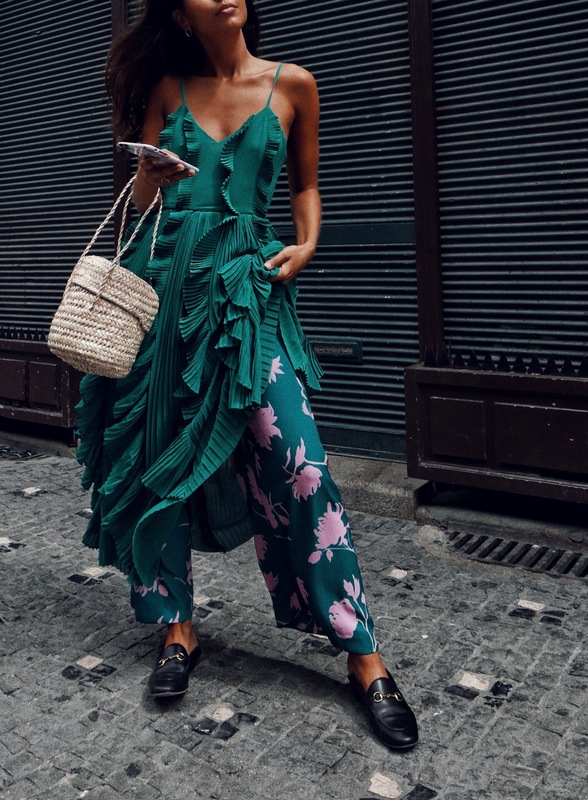 Dress over pants – YAY or NAY? Este romance improvável aconteceu de forma inesperada. Experimentei estas calças na H&M e entretanto vesti o vestido por cima. Não porque achasse que fosse uma combinação fabulosa, mas pela parte prática. Tiro a parte de cima, deixo as calças para ficar mais composta e depois tiro as calças para ver como fica o vestido. E no meio desta transição surgiu este look e voilà, este romance improvável revelou-se afinal uma história a três. BIG YAY! “Tenho que levar os dois”, pensei. This improbable romance happened unexpectedly. I tried these pants on at H&M, and then I wore the dress over it. Not because I thought it was a fabulous combination, just to be more practical. So I took off whatever I was wearing to try on the dress and left the pants on just because, and then I’d take the pants off to see how the dress fits. But in the middle of this transition this look come out and voilà. BIG YAY! “I need both,” I thought.